Good news to all GATE-2013 aspirants!!. Your Gate score can give a rewarding job in Indians most prestigious companies in Public Sector Units including several Navratna and Mahartanas. 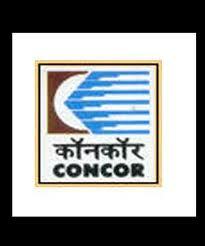 Concor Limited had announced its recruitment for Management Trainees (MT) and invited online applications form those who are going to appear in the GATE-2013 Exam. Applicants who wish to apply for Concor Recruitment 2012-2013 are required to appear in any of the following GATE-2013 Papers. Applicants must be holding Engineering Degree in any of these Disciplines viz Mechanical, Computer Science & Information Technology, or Civil Engineering. Also Applicants must have to appear in the ME, CS or Civil Papers to be eligible for Concor Management Trainee Recruitment 2013. The Selection Process for Concor MT Recruitment 2013 shall be on the basis of the GATE-2013 Score and followed by Group Discussion / Interview. From 12.01.2013 to 04.02.2013, eligible candidates have to register themselves at the online application portal for the post of Management Trainee (Technical), Management Trainee (MIS) and Management Trainee (Civil) through GATE-2013 at CONCOR website (www.concorindia.co.in) at the ‘HR & Career’ Section-‘Recruitment Notices’ Sub-Section with details of their GATE-2013 Registration Number and other required information as per the instructions provided therein.